Chand Baori (Rajasthan) – The Deepest Stepwell in the World!!! 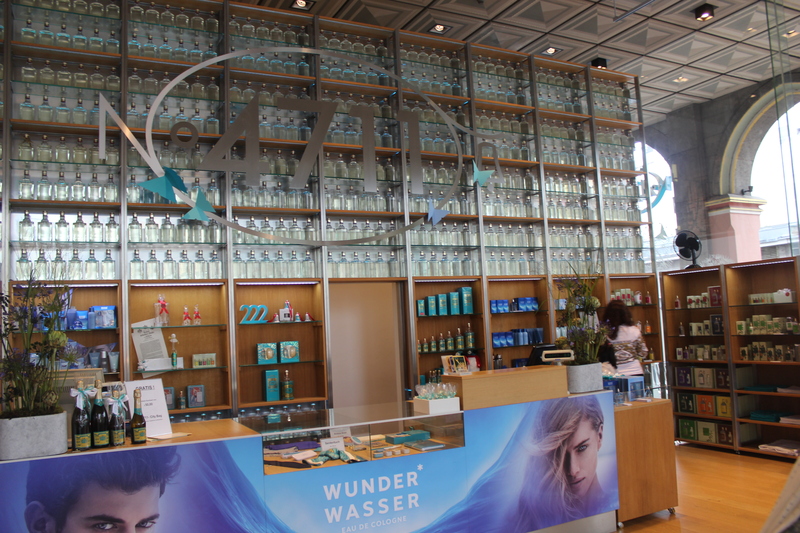 Cologne : Fragrance City :: Top 5 things to do!! 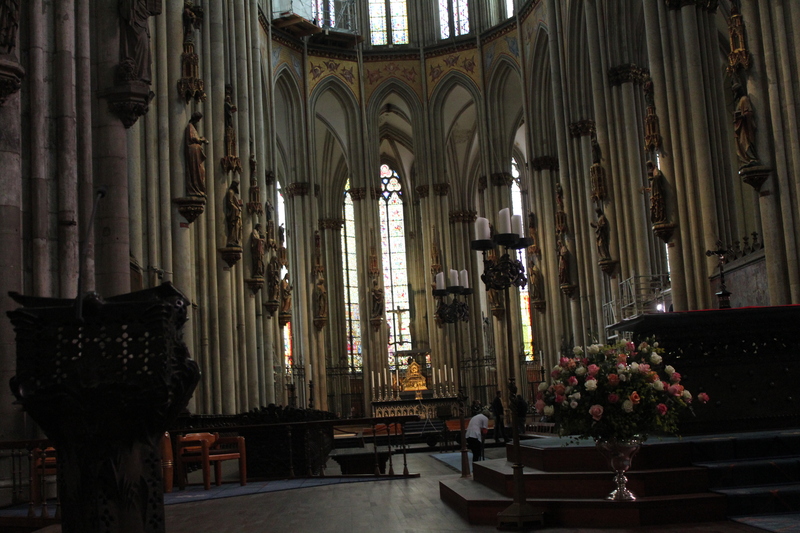 Near the left bank of the Rhine, Cologne’s towering landmark, the Cathedral of St. Peter and St. Mary, is a masterpiece of High Gothic architecture. One of the largest cathedrals in Europe, it was started in 1248 and is considered the most ambitious building project of the Middle Ages. 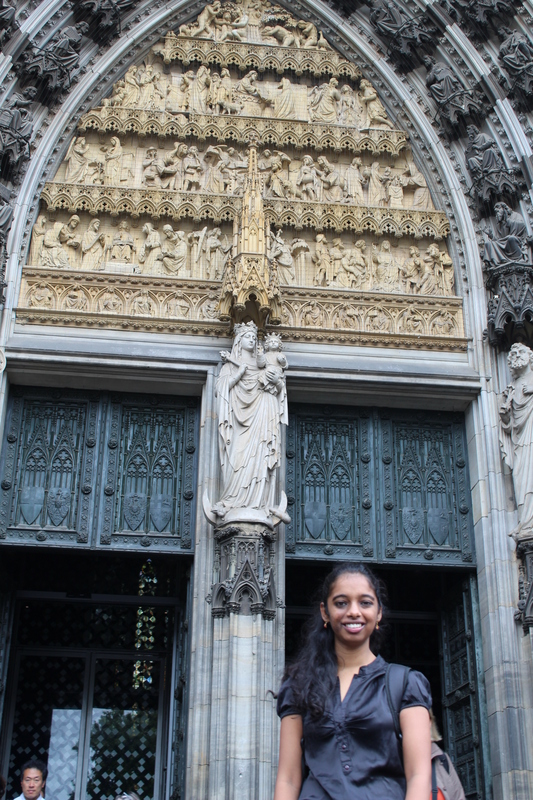 Apart from its exceptional intrinsic value and the artistic masterpieces it contains, Cologne Cathedral testifies to the enduring strength of European Christianity. 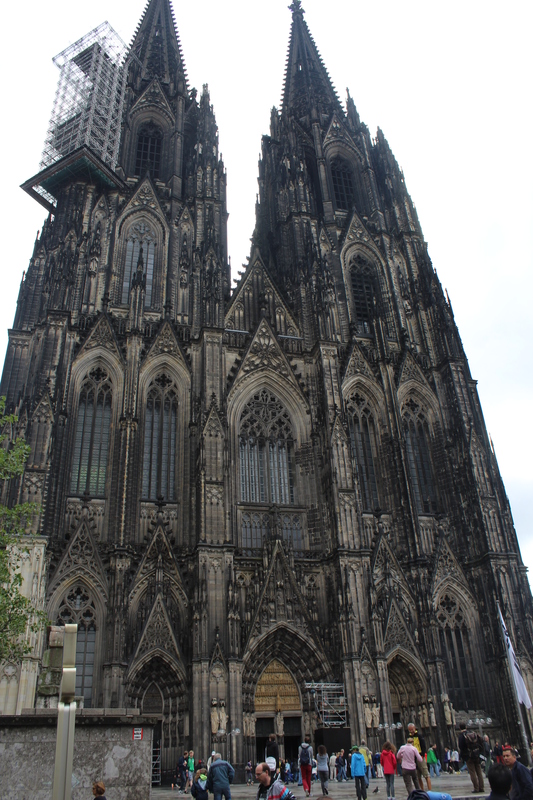 Cologne Cathedral also holds its place in UNESCO’s list of world’s heritage sites. 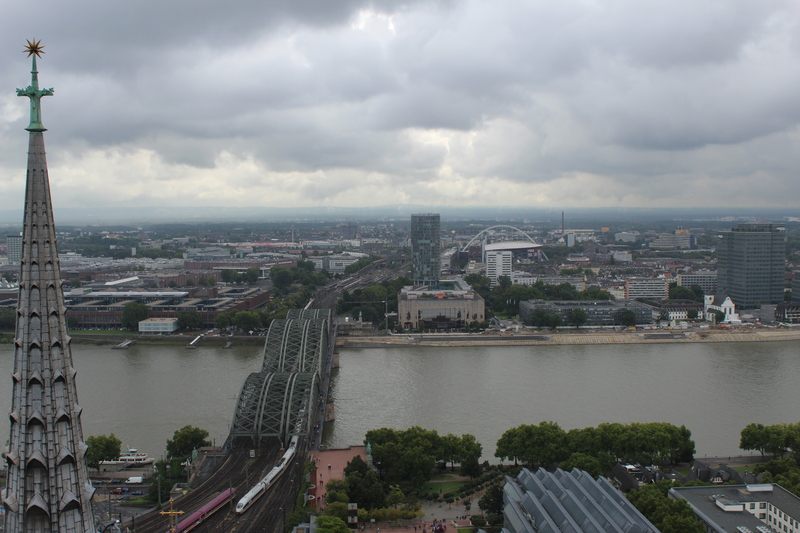 Cologne city from top of the Cathedral! Guided tours are also available in English from Monday to Saturday between 10:00 to 14:30. In Sundays and Holidays the tours are available at 14:30. 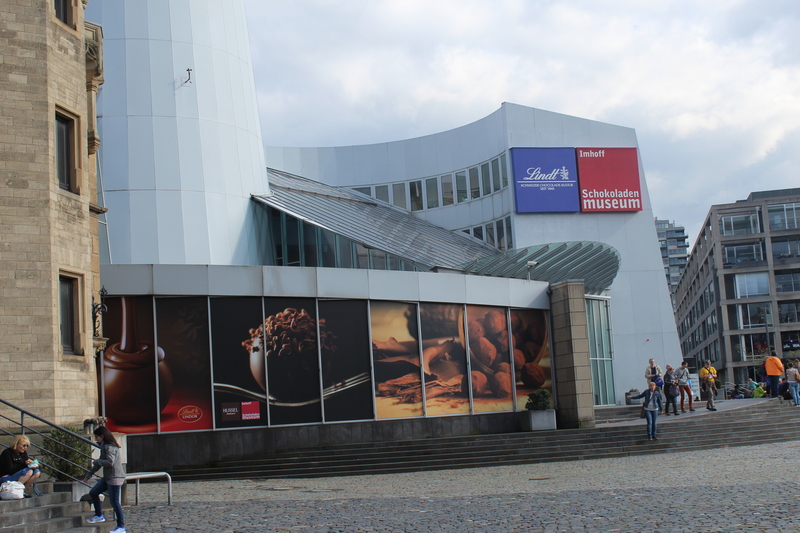 On my business trip to Cologne, I had the pleasure of visiting one of Cologne’s most famous attractions, the Imhoff-Stollwerck Museum, or as it is generally known, the Chocolate Museum. Although the museum was founded just 12 years ago, it has acquired a worldwide celebrity. Every person I asked for directions (and I had to ask a few, although the museum is quite easy to find) whether locals or tourists had no problem telling me exactly where the museum is located and how to get there. In fact locals seemed proud of their museum, and I don’t blame them one bit. 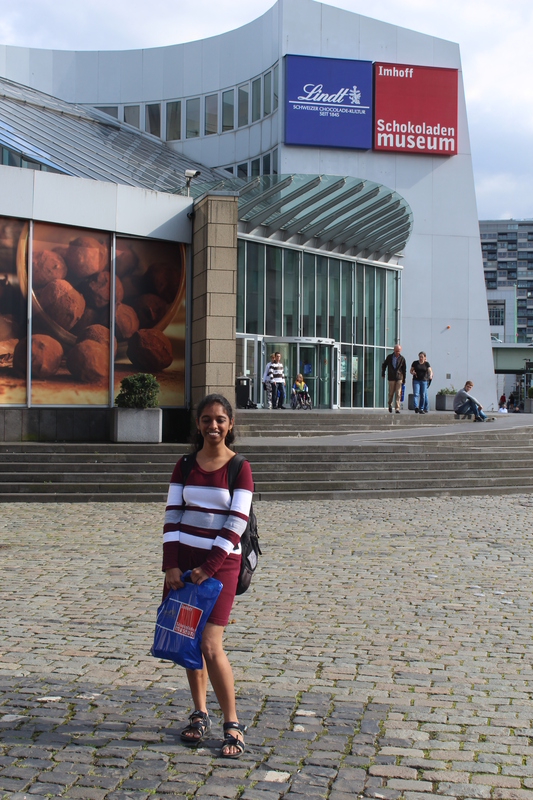 This huge and modern museum, which looks much like a ship, located right on the river front, just a short walk from the Cologne Cathedral. Pay your admission and begin your journey through the three exhibition levels which take you on a tour through 3,000 years of the history of chocolate, all the way from Aztec chocolate makers to the modern Lindt chocolate candies. 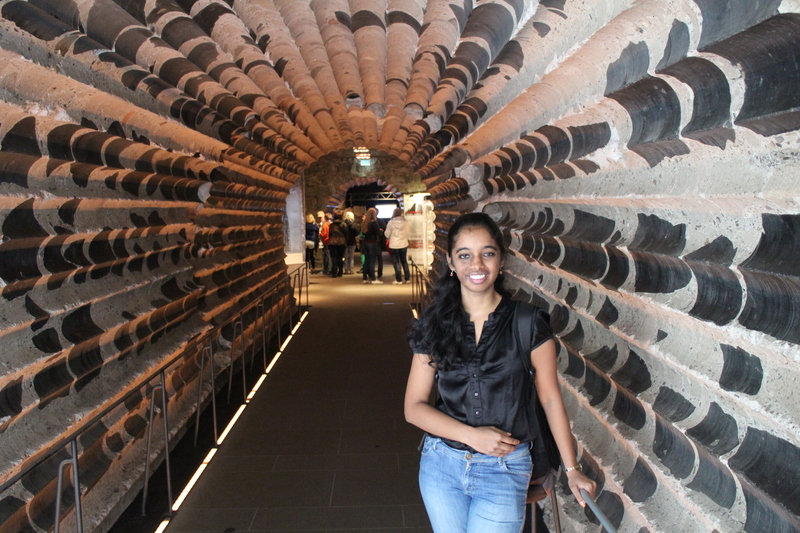 The smell of chocolate permeates the building – it’s probably the best-smelling museum in the world! 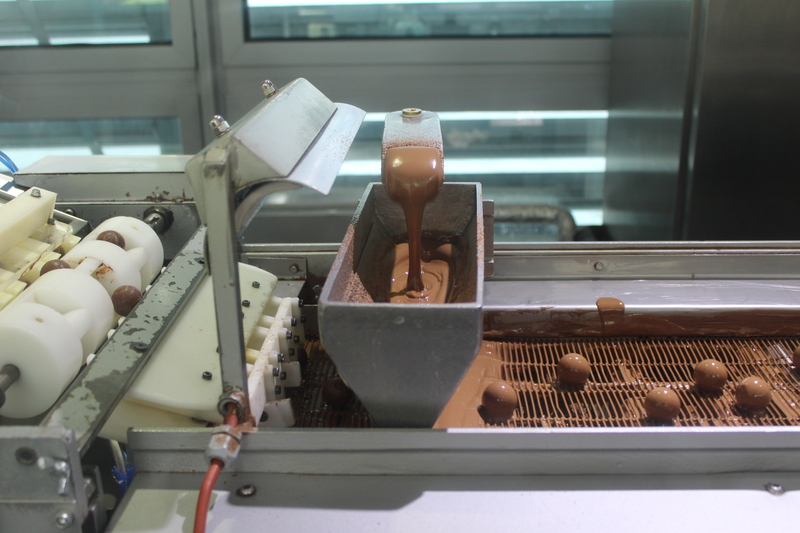 Fresh chocolates churning out of the machine!! There is a small but complete demonstration area of a chocolate production facility, where you can watch through glass viewing windows at the elaborate individual production steps. 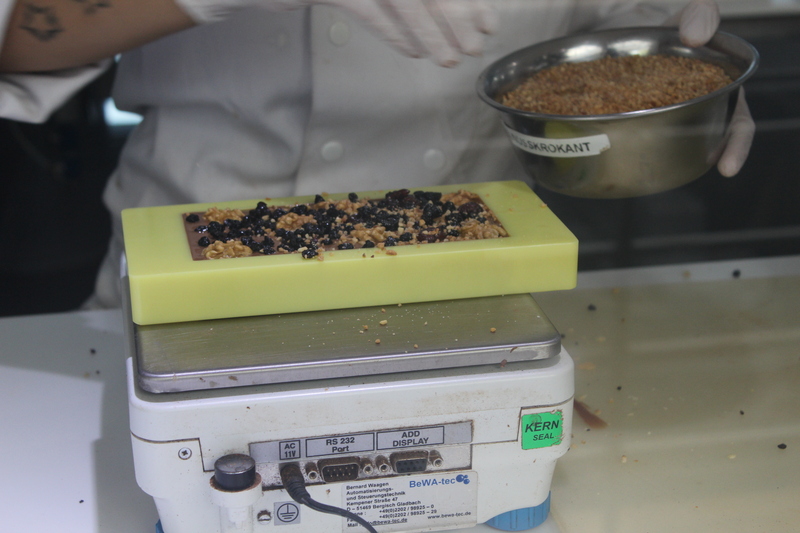 You can watch them make chocolate bars, hollow figures and pralines – and then (the best part) – you get free samples from a vat of fresh melted chocolate! Chocolate fountain.. for free tasting !!! 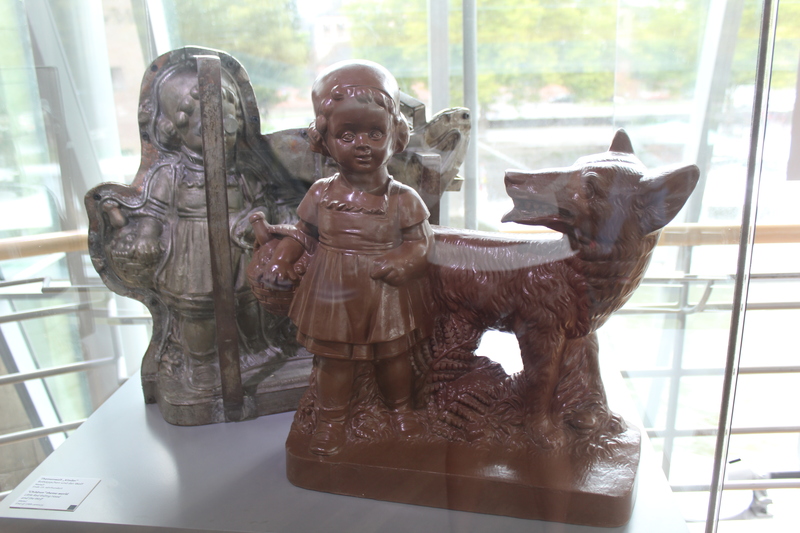 You can learn about the cultural history of chocolate and advertising as you continue your self-guided tour. 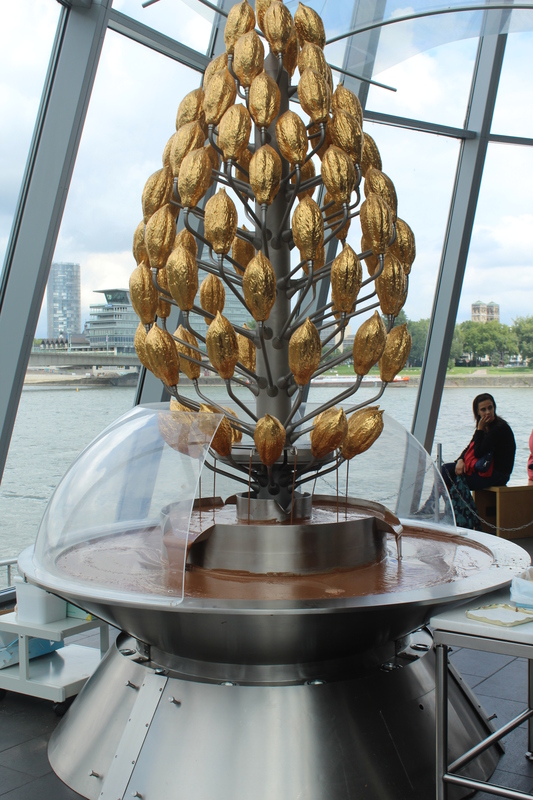 Dr. Hans Imhoff opened the Chocolate Museum in 1993 and began working with the Lindt & Sprungli company in March 2006. It’s the only chocolate museum in the world where you can learn everything about chocolate. Since its opening, over 7 million guests from all over the world had toured the museum. 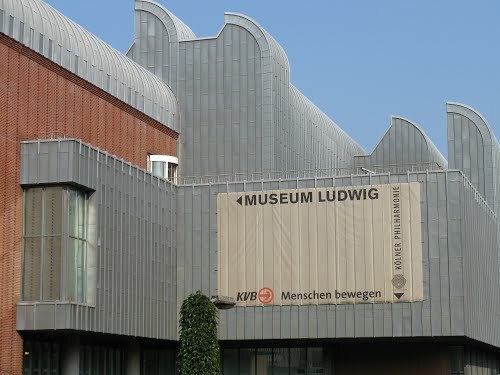 It is one of the ten most visited museums in Germany. 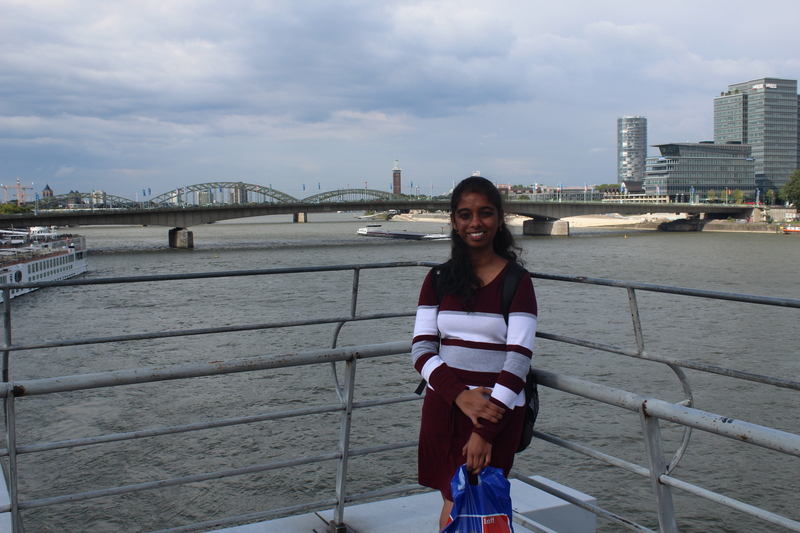 Make time for the lovely little café where you can sit on the Rhinebank Terrace, overlooking the Rhine River, have some delicious chocolate cake or hot chocolate and watch the ships and barges pass by or just relax in one of the comfortable chairs. My personal chocolate in making!!! But be sure not to leave without visiting the huge gift shop on the first floor. I have never seen so many different kinds of candies in my life and they all looked (and tasted) absolutely delicious. It’s the perfect place to buy beautifully packaged candies to take home for gifts. If you can get them home without eating them, that is! The cable car offers you the most attractive bird’s eye view of the city. 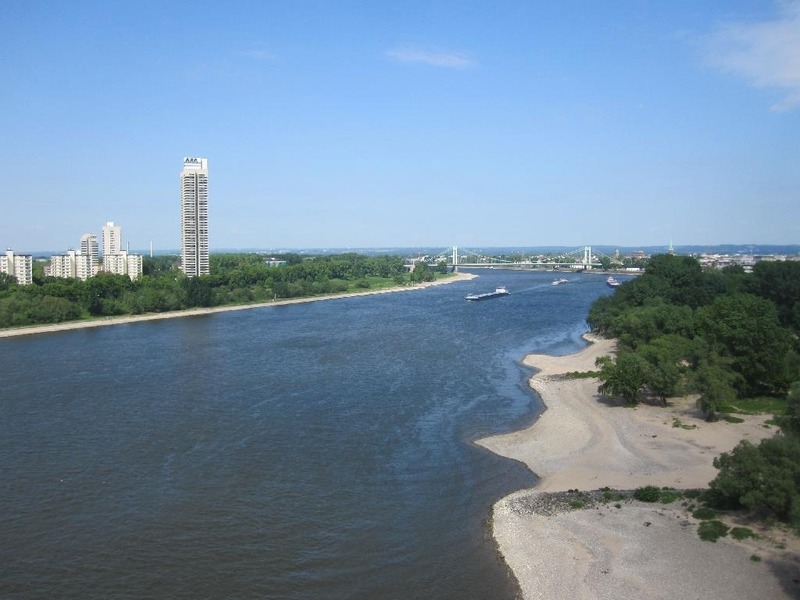 Take a leisurely trip across “Old Father Rhine” and admire the city’s fascinating panorama. 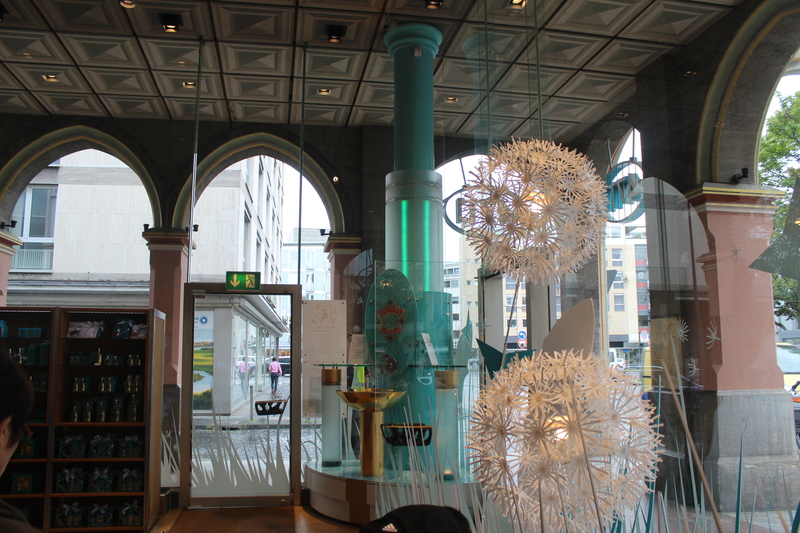 Enjoy a relaxing view of Cologne as you cross unhurriedly from one bank to the other. The cable car over the Rhine was opened on April 26, 1957 in time for the opening of the biannual German horticultural show, the Bundesgartenschau. From 1957 to 2004 the cable car transported 13.7 million people without an accident; and in 2004, it carried 288,500 passengers. It is considered to be Cologne’s safest means of transport. Starting in 2004, the cable car ran at night for special occasions and since that year it has been profitable. 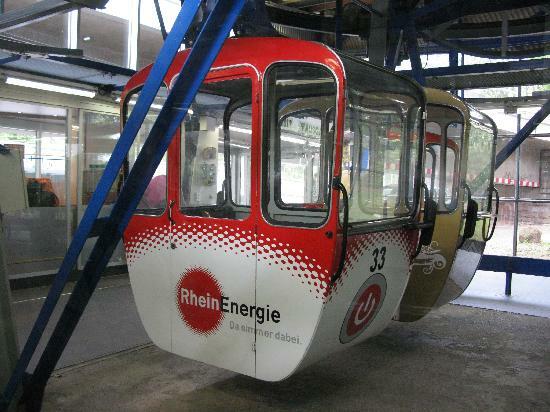 Kölner Seilbahn operates the tramway, which since 1998 has been a subsidiary of the Kölner Verkehrs-Betriebe, the city’s public transit operator. 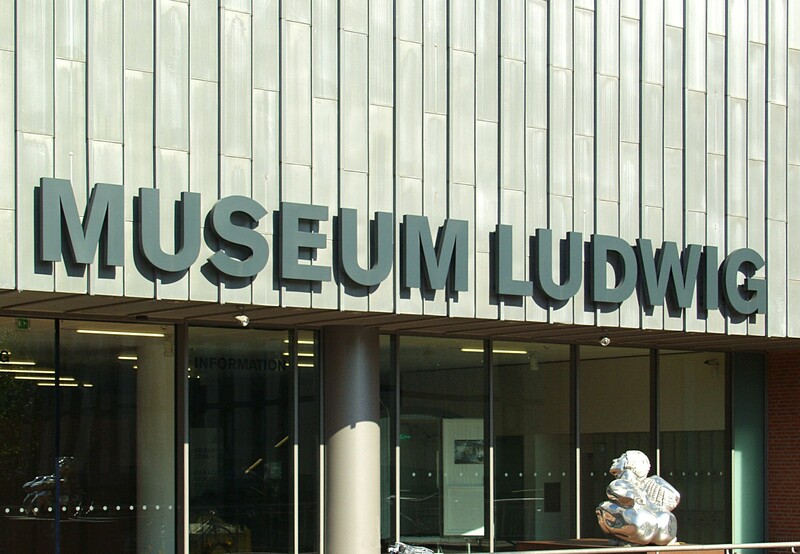 daily 10 a.m. to 6 p.m.
Art lovers will want to visit both the Wallraf-Richartz Museum and the Ludwig Museum when in Cologne. Housed in one of the city’s newer architectural structures, these two excellent galleries cover a wide range of European painting, with works by Rembrandt, Manet, Renoir, Leibl, Liebermann, and Slevogt. The Wallraf-Richartz Museum is particularly strong in the work of the Cologne school, while the Ludwig focuses on modern and contemporary painting. 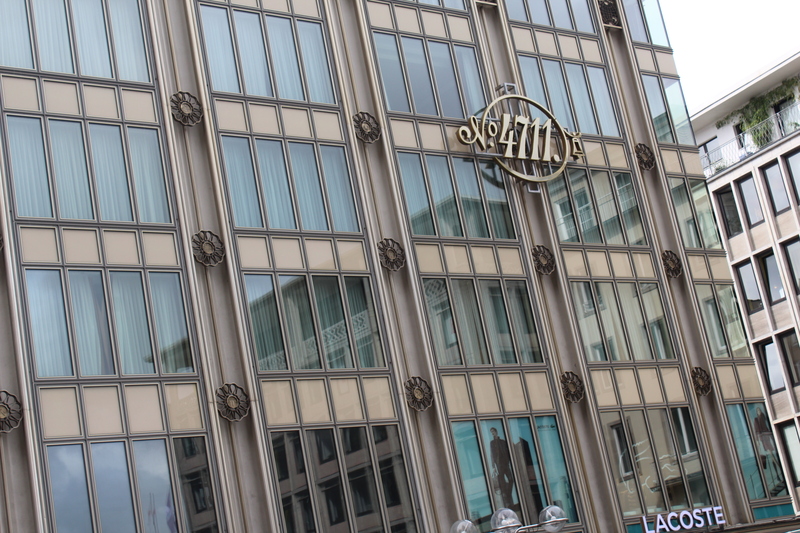 In the same building is the Agfa-Foto-Historama with its displays of photographs and cameras dating back to 1840. At Glockengasse No. 4711 you can admire an innovative spatial concept on the first floor of the traditional house. Redesigned in 2001, the interior architectural structure of the gallery turned into an all-in-one exhibition, modern convention and presentation room. Equipped with state-of-the-art multimedia appliances, the room is ideal for workshops, seminars, conventions and meetings of up to 60 persons. It creates a perfect event environment for companies, associations and other organisations. Inspections of the museum are only possible with a tour guide according to prior arrangement. Next Next post: Chand Baori (Rajasthan) – Deepest Well In The World!! !